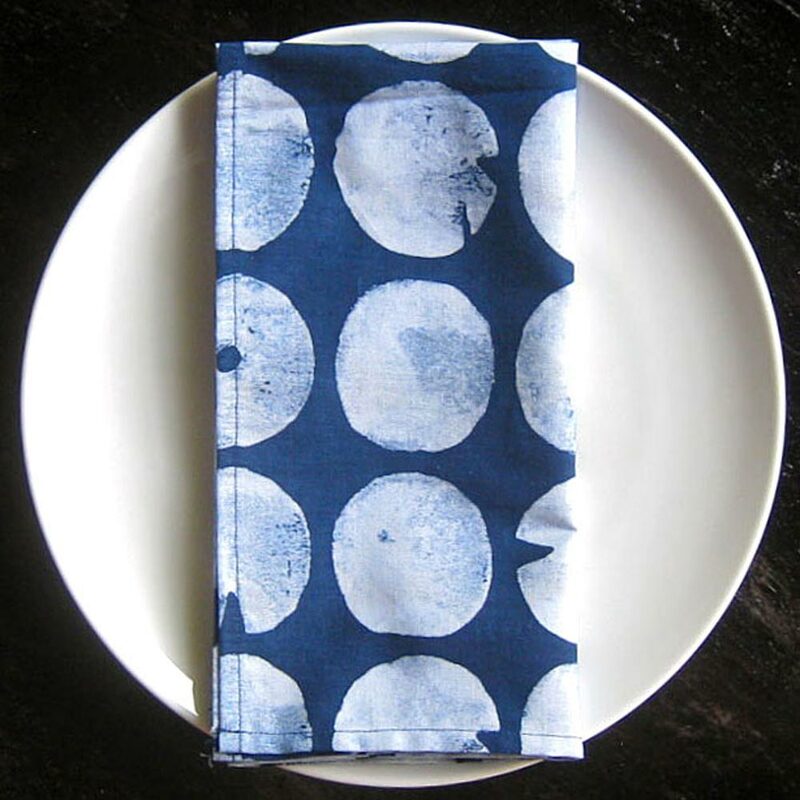 Natural Indigo dyed hand stamp batik on 100% cotton – Set of 4 same batik minimum. MIX or MATCH the patterns. Napkins come with overcast stitching (see photo).